Are you safely controlling your uric acid? If not, GoutPal Plan for Gout Victims is for you. It is a 7-step plan to avoid the dangers of ignoring excess uric acid. Specifically, it helps you understand dangers of uric acid. And, why you must make uric acid safe. 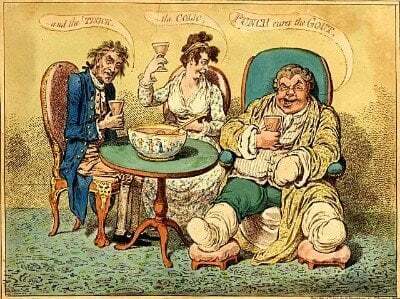 This is part of a series of plans for all gout sufferers. First, answer Questions for Gout Sufferers. Then, use this GoutPal plan to understand how dangerous excess uric acid is. And, find ways to avoid those dangers. Here is my step-by-step plan for Gout Victims. Ideally, you should read through each step carefully. But, if you are anxious to start now, see how to get your own personal Gout Victim plan, below. Why do Gout Victims avoid controlling uric acid? Doctor doesn’t understand safe uric acid levels. Tried uric acid lowering, but it doesn’t work. Believe excess uric acid is harmless. Fear consequences of uric acid lowering treatment. You might have other motives for avoiding uric acid control. 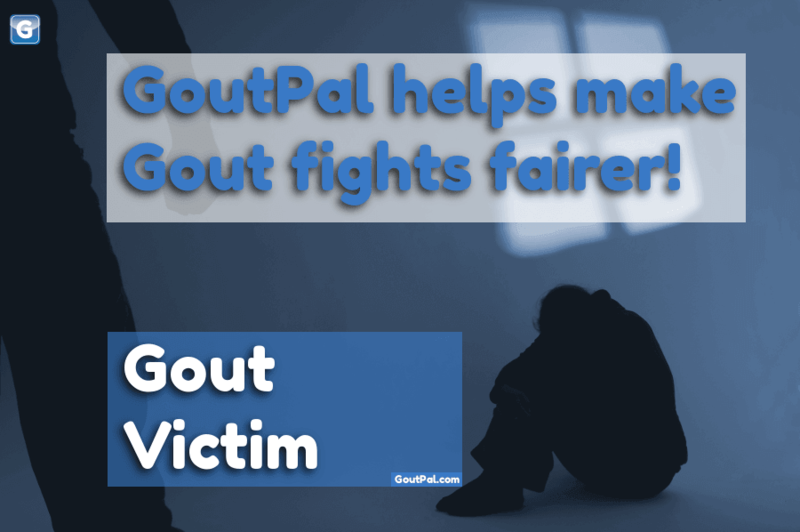 The GoutPal Plan for Gout Victims is different from many other plans. When you successfully complete other plans, you launch a different plan. Or, you start to live your gout-free life. If you ‘succeed’ with this Gout Victims plan, you become a loser in life. Is Excess Uric Acid Harmless? Before I explain the GoutPal Victims Plan, I must explain why excess uric acid is dangerous. Firstly, excess uric acid forms crystals in and around your joints. But remember, this is not just your big toe. Because gout will eventually spread to every joint. Then, it weakens each joint, causing permanent damage. So, you might cope with occasional gout attacks. But, you will not cope with damaged painful joints that restrict mobility. Especially as you get older. Secondly, uric acid crystals spread beyond joints. Because they cause lumps, called tophi, in every organ except the brain. Then, as with joints, uric acid crystals cause permanent damage to organs. Finally, organs like the heart and kidneys become so damaged that gout is fatal. So, if you believe excess uric acid is harmless, I will spend time explaining the dangers of tophi during Step 4. There is some crossover between Gout Victims and Arthritis Sufferers. Because some gout symptoms are rare. Therefore, an Arthritis Sufferer might be unable to get a clear gout diagnosis due to rare symptoms not recognized as gout. Similarly, a Gout Victim might see that excess uric acid has rare symptoms. But, refuse to believe the symptoms need treatment. Ultimately, these different plans are ways for individual gout sufferers to get started on their own personal gout recovery plan. So, you often find that you will combine different elements from different types of GoutPal Treatment Plans. This is never a problem. Because I always guide you where to look for the right resources during different steps of your plan. Therefore, you might like to check my plan for Arthritis Sufferers. Then decide which is the best starting point for you. What do you want to achieve? Make this as personal as you can. It might be to stop worrying about gout pain. But, personal goals are more effective. So, you might aim for enjoying a wedding without fear of gout. Or, whatever personal goals matter to you. Because personal goals will motivate you more. If you want to start a Gout Victim plan now, tell me your personal gout goals in the forums. 2. Gout Victim Plan Objectives. Your objective(s) depend on, what is causing you to avoid uric acid control. I gave some examples above. Why do you avoid controlling uric acid? For each objective, consider the underlying reasons why you avoid uric acid lowering. For example, if you think excess uric acid is harmless, what are your reasons. Have you been told that, or read it somewhere? Or perhaps you assumed it was safe because you had no symptoms. 4. Thinking for Gout Victims. First, learn about the consequences of excess uric acid. Then, think about consequences of avoiding treatment. Also, think about alternative ways of looking at your underlying reasons. So, there are different tracks for step 4, depending on your underlying reasons. In details, these tracks include normal uric acid, gouty tophi, and avoiding side-effects. For most Gout Victims, this is the biggest step in your plan. Because you have to learn the effects of excess uric acid and see if they might apply to you. Usually, gout victims learn enough to know that they must switch to a uric acid treatment plan. But, if not, we continue to project what is likely to happen without such a treatment plan. 5. Personal Gout Victim Projections. Together, we forecast what is most likely to happen if you continue. Often, projections will include analyzing your gout symptoms. Then, projecting what might happen in future. You might accept the dangers of untreated uric acid. In that case, move on to step 7. But, many Gout Victims will accept they must treat excess uric acid. So, you’ll probably move to GoutPal Seekers, or one of the other gout treatment plans. However, some Gout Victims return to Objectives, or Underlying, to find more reasons to avoid treatment. No worries! I’m here to patiently help you. So, you remain convinced that excess uric acid is acceptable to you. I’m sorry to lose you. But, you can return for advice, any time you like. I’ll always help you cope with gout flares, and other symptoms. But, you’ll have to accept that I will keep trying to persuade you to get your uric acid safe. If you like to remain anonymous, print this page, Then, discuss with your doctor, professional nutritionist, or other Gout Mentor. You can get more anonymous help by reading the current Gout Victim Support discussions. But, remember the importance of personal gout management. Importantly, other gout sufferers may have different reasons to you, for not lowering uric acid. If you want casual help with your Gout Victim plan, just ask in the gout forums. You can ask about any aspect of your gout, at any time. If you want somewhere to keep notes about your Gout Victim Plan, you can also start a Personal Gout Diary. If you want structured help with your Gout Victim Plan, I can mentor you through every step. That is a big time commitment for both of us. To qualify for structured help, you must have a GoutPal Personal Gout Diary. Once you have that, see How to start Structured Gout Help. To read the document change history, click the GoutPal History image on the right. Do you have suggestions for improving GoutPal Plan for Gout Victims? Then, please add your comments to Improving Help For Gout Victims. Or, send the Feedback Form, below.